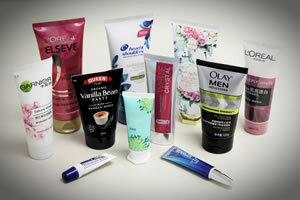 Flexible tubes offer an extensive range of customization options, lending plastic and laminate tubes to be the favored packaging choice for companies and consumers across the personal care, cosmetic, pharmaceutical, household, industrial and food industries. Request a custom quote. Plastic tubes are commonly extruded using a single polyethylene layer including LDPE, MDPE and HDPE. Multi-layer tubes can be extruded according to customer specifications, utilizing a combination of LDPE, MDPE and HDPE layers to achieve the desired feel. Round and oval shaped tubes have diameters from 13-60mm and with customizable length options, the volume capacities range from .1 oz. to 12 oz. Numerous orifice sizes, head and cap styles provide a wide variety of dispensing options including lip gloss, pumps, brush tips and roll-ons. Minimum order quantities start at 5,000 pieces per artwork. 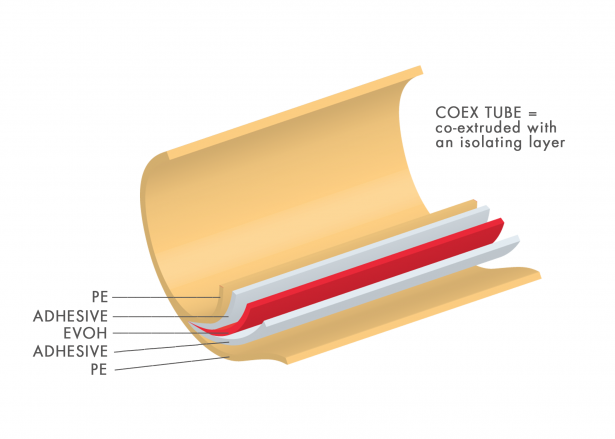 Co-extruded tubes, commonly referred to as EVOH or 5 layer tubes, are constructed with an EVOH isolating barrier which is “sandwiched” between the inner and outer polyethylene walls. A thin layer of adhesive goes between the EVOH and polyethylene layers. The EVOH (ethylene vinyl alcohol) layer provides increased durability and enhanced barrier properties against oxygen, gases and oils. The additional barrier layer helps maintain the integrity of the tube itself, and its contents, while reducing odors and extending the product life cycle. Minimum order quantities start at 10,000 pieces per artwork. ABL: Aluminum Barrier Laminate is constructed using 3 layers – plastic, aluminum, plastic. ABL tubes have the look and feel of plastic tubes with the barrier protection of an aluminum tube, and are available in multiple material thicknesses. PBL: Plastic Barrier Laminate is constructed using 5 layers – plastic, adhesive, EVOH, adhesive, plastic. PBL tubes have the look and feel of an extruded tube, but with excellent barrier properties from the EVOH layer. APT: All Plastic Tube is made of 3 layers of plastic. APT tubes have the feel and quality of an extruded tube, but much more cost effective. 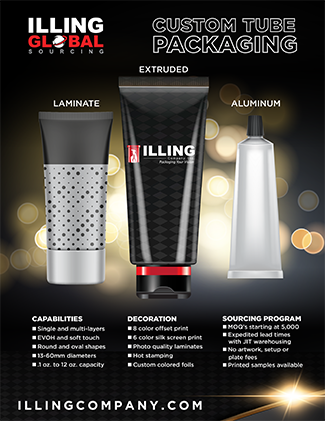 Laminate tubes have superior decoration advantages over plastic extruded tubes with photographic printing capabilities including specialized holographic and metallic color shading. There are multiple advantages of laminate tubes over aluminum tubes including aesthetic appeal, more user-friendly as they are easier to squeeze with a softer feel, they are lighter than aluminum, require less energy to manufacturer and are much more cost effective. 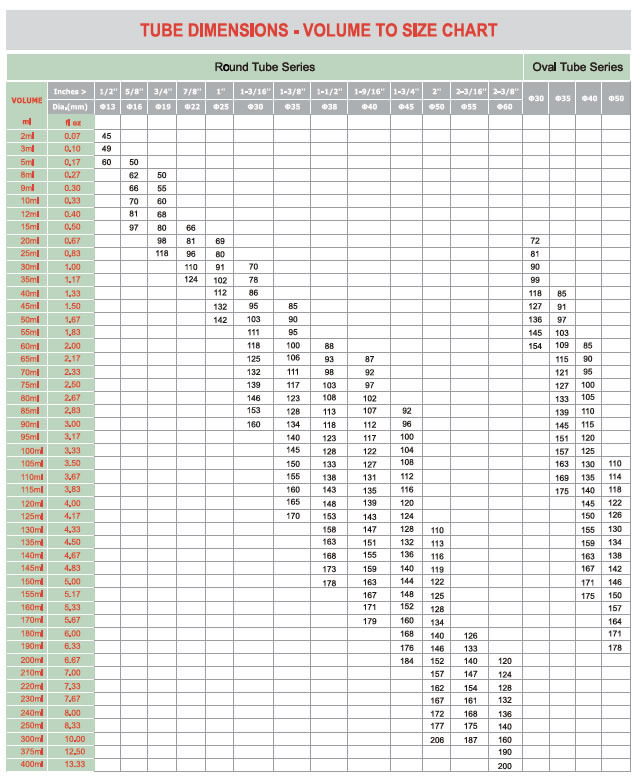 Laminate tubes have higher minimum order quantities, starting at 25,000-50,000 per order depending on the specific type. With plastic extruded tubes, the body and cap can be manufactured to match the full range of PMS colors, from translucent to opaque black. 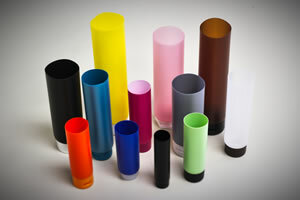 Plastic extruded tubes can be printed with a maximum of 8 colors through offset printing and 6 colors with silkscreen printing, including hot stamping of custom colored foils. Glossy, matte, semi-matte and pearl finishes are available. 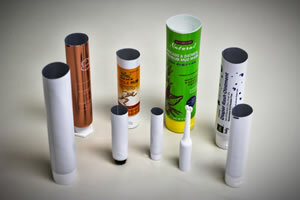 The full 360° tube sleeve can be decorated, including the tube shoulder, all the way up through the sealing area. Labeling options are available in addition to peel-off tabs and booklets. A variety of caps options include screw on, flip top, metalized, acrylic and many more. Laminate tubes can be printed with photographic quality including holographic and metallic color shading.